Brian Chevalier of Manchester, NH is charged in the murder of his ex-fiancee, Wendi Davidson, in North Andover, Mass. A New Hampshire man accused of strangling his ex-fiance last month at her home in North Andover, Massachusetts, appeared in court to face charges Thursday. 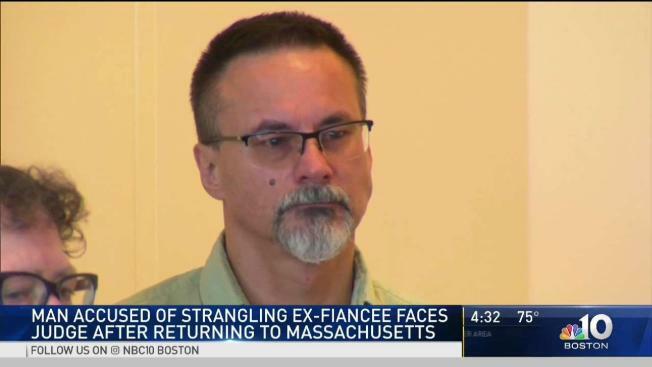 A New Hampshire man accused of strangling his ex-fiancee in April at her home in North Andover, Massachusetts, faced a judge Thursday morning just hours after returning to the Bay State from California. Brian Chevalier, 51, of Manchester pleaded not guilty to murdering Wendi Rose Davidson on April 20 at his arraignment in Salem Superior Court. He was ordered held without bail. Chevalier was arrested April 25 in Mexico — just over the border from Calexico, California, according to the Essex County District Attorney's office. He was turned over to U.S. officials and held by the Imperial County Sheriff's Department. Chevalier did not agree to waive rendition at his arraignment in California on fugitive from justice charges, meaning authorities had to seek a governor's warrant to return him to Massachusetts to face a murder charge. Wendi Davidson's son Josh said they got word of the arrest of his mom's alleged murderer while he was on his way to her funeral. 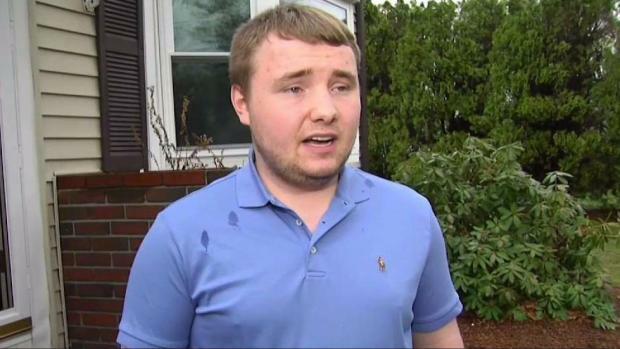 Wednesday night, the district attorney's office confirmed that Chevalier had returned to Massachusetts. Davidson, 49, who was an accountant and a mother of two, was found strangled to death in the basement of her home on April 21. Her family did not comment on the developments as they left court Thursday. "Once it was determined it was a murder, I immediately thought it was him," Davidson's son, Josh, said in April. Davidson's family said the pair had dated for a couple of months before getting engaged, but broke up about a month later in March. Her family told NBC10 Boston that even though Chevalier hoped to rekindle the relationship, Davidson did not seem concerned for her safety. "She would drop everything and be there for you and ask questions later," her son said. "Her smile would light up a room, she just touched so many lives." There was no mention of Chevalier's prior record in court on Thursday. In 2003, Chevalier was convicted in New Hampshire of kidnapping, sexually assaulting and choking a former girlfriend. He was sentenced to 30 years in prison, but was released on parole in 2017. He is due back in Salem Superior Court on Aug. 27 for a pre-trial conference.